There is no death, Only Change of two worlds. RIP messages, Death Declarations, Eulogy notes is what ERPs are often subjected to. There are numerous articles floating around the web that are busy writing off enterprise systems. Most of these articles cite the advent in technology, changes in customer behavior and new age of commerce for the downfall or death of ERP systems. Well while these changes have significantly affected the Enterprise Systems, they are nowhere close to their end. At the end of the day as long as businesses are running they would need systems to run them. The style, technology and practices may change and ERPs will have to evolve around them but that does not mean that they will die, in fact we see them gearing up for the new revolution. We seek to find the aspects that ERPs need to adopt and embrace to flourish in the new world. On-Cloud ERP: More and more organizations are opting for On-Cloud ERP model as it offers a relief to the usual pain points offered by traditional on-premise ERP systems. On cloud ERP solutions significantly reduce the cost of IT, improve the solution's flexibility and adaptability and at the same time maintain security and stability. On-cloud solutions have played a major role in transforming ERPs and offering it as a service rather than a capital expenditure. 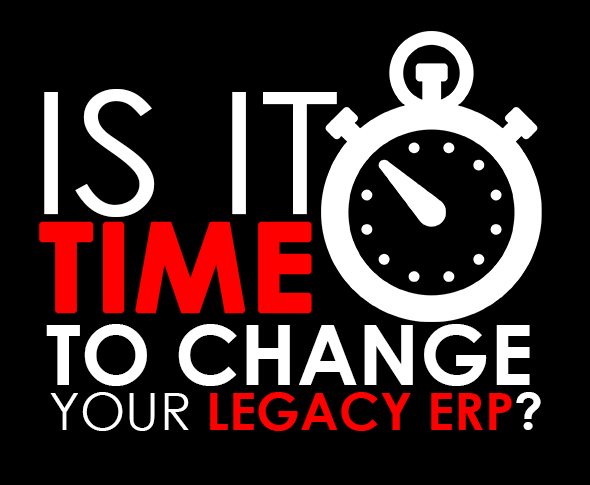 The usual issues that had plagued ERP solutions for over decades including costly customizations, cumbersome up-gradations have been dispensed by on-cloud solutions. On-cloud solutions have also given rise to new revenue models in the ERP trade and made it more accessible to mid-sized and smaller enterprises too. Two-Tier ERPs: On-cloud Solutions have given rise to a new ERP implementation methodology - The Two-Tier ERPS. The two-tier model lets you build additional on-cloud functionality on your existing on-premise ERP. A two-tier ERP strategy helps organizations quickly deploy and integrate new processing features in smaller business units and then seamlessly integrate them into the core ERP. This approach helps in reducing the time and cost required to implement, support and maintain ERP capabilities. This strategy offers the best of both worlds and fuels business velocity and agility to match the changes both in the external and internal environment. Enterprise Mobility: The enterprise IT paradigm is shifting from web to mobile. Almost every company is moving towards Enterprise Mobility. With the rapid adoption of mobile devices in the workplace, the ERP systems are now evolving as a hybrid combination of on-premise, cloud services, and mobile apps. Enterprise Mobility though a daunting task is inevitable and offers huge benefits to enterprises including real time communication, active employee engagement and increased employee productivity, faster response time and reduced administrative costs. Analytics: Analytics is probably the best things to have happened to enterprise systems. For quite a number of years enterprise reports and systems were limited to simple business reporting tools, the rest was left for the reader to decipher. Though the data being handled by business systems has always been huge, it never had the intelligence to it that analytics has brought in today. Analytics has converted data into powerful and potent information that can help organizations in crucial decision making. Market Forecasts, Customer Behavior, Sales Trends, Competitive Analysis, Advertising-Reach are some of the many capabilities of analytics. Going ahead new trends emerging in the field of analytics will further benefit businesses. Yes a lot around enterprises is changing in terms of new technologies, innovations, work environment, in-fact it's a whole new world out there. As ERPs step into this new world, they will have to embrace this change and changing world is NO death it's just a new lease of life.